Our Business is Your Success! The Big Bear Chamber of Commerce, a 501(c) 6 non-profit organization, was established in 1947 as the leading business advocate for the Big Bear community. The Chamber represents and serves 400 business and non-profit members in the Big Bear Valley. It is governed by a 12-member elected Board of Directors and assisted by various volunteer groups. Our mission is to be an assertive, independent advocate of business interests for our diverse membership, exercising our influence to promote a strong local economy; promote the business community; represent the interests of business to government; provide networking opportunities; and political action. The Chamber office is open Monday - Friday - 9:00 am - 5:00 pm. As we want to give you our full attention when you visit, please make an appointment to visit. The nature of Chamber work frequently takes staff out of the office for meetings and appointments. 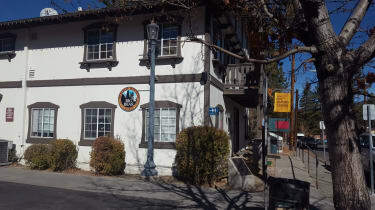 The Chamber is located at 630 Bartlett Road, Big Bear Lake CA 92315. The mailing address is P.O. Box 2860, Big Bear Lake, CA 92315. (909) 866-4607. See staff extensions to be connected directly.